Technical information is provided to the best of our knowledge all risks / concerns associated with production are the responsibility of the production company. Articulated Lorries able to unload on single yellow line, a forklift may be needed. For ease of access camera and lighting van can be parked inside the studio please contact your producer for unloading options. Studio has two industrial memshield-3 (3 phase) boards. ** This has been recently updated in 2019 and re-certified. 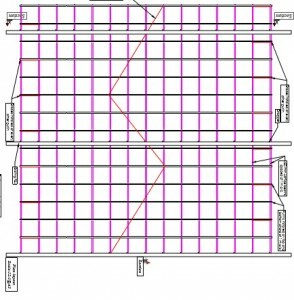 We have a huge 15m x 15m lighting grid the height to the grid is approximately 5 1/2 meters access to the grid is via scaffold tower. Under no circumstances should any alterations be made to the rigging. 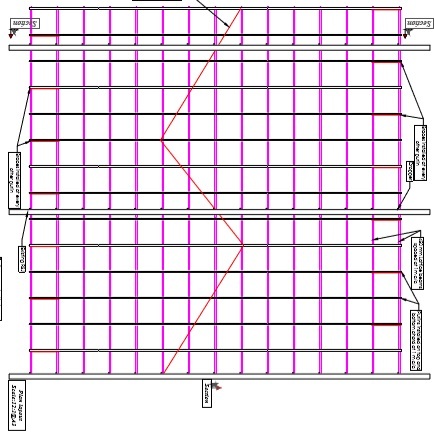 If alterations are needed to this structure must be approved by the studio and made by the installer as diagrams and calculations will need to be updated. We do not allow climbing on the grid without same day full inspection / harnesses. Water tap is available in the loading bay, the studio has a manhole on the far side for getting rid of water from set. Cleaning charges will apply for use of water on set. All sets / props must be disposed of by the production company we do not need wood / props or other materials. We will charge for the disposal of any unwanted items left. Please note it is more expensive for us to dispose of items at short notice and any /all costs incurred will be passed onto production. We will only dispose of general food waste that is in black bags. If we are unable to arrange for disposal storage of the items will be charged daily at 50% of studio hire rate. Productions can only repaint the floor with prior permission the floor must be repainted back to black with the correct paint. The only paint we allow is Flints Black Stage Paint, if other paints are used floor sanding / repainting charges will apply. No drilling is allowed under any circumstances to the floor or studio walls any attempt to do so will be treated as criminal damage . Skips can be hired for disposal of sets, please get in touch for details. Professional cleaning charges will apply for any use of Sand, Water, Glitter, Dust, Dirt, Animals, Paints on set. If you are planning on using these do let us know in advance. Last minute professional cleaning charge or repainting will be significantly higher.